XCOM 2 takes place 20 years after the events of Enemy Unknown. Earth is under control of the ADVENT agency, run by the aliens that invaded Earth in the previous game. After rescuing the commander, i.e. the player, it's then up to the XCOM organisation to work as a rebellion fighting against the alien regime. Related reading: Matt's review of XCOM: Enemy Unknown on the Apple iPad. XCOM’s gameplay structure hasn’t deviated that much from its predecessor. As a turn-based tactics based video game, the player takes the role of the commander, and is essentially the brains of every operation. Every mission has specific objectives, such as eliminating all enemy units or reaching an objective. The recruits of XCOM are the squad that carries out these missions, and through their experience on the battlefield they level up, growing in capabilities and skills. It’s remarkable how quickly a connection is formed between the player and their units. There’s a feeling of pride when they connect a difficult shot, and disappointment when they miss a target that should have been easily hit. But nothing can compare to the guilt you feel when they are put in danger due to your negligence or poor strategy. There was one mission that may have resulted in a few sleepless nights. I got arrogant, and sent a rookie soldier into a building that was still hidden under the fog of war (the shroud around the battlefield that means it's only possible to see alien foes if they’re in your unit’s line of sight). 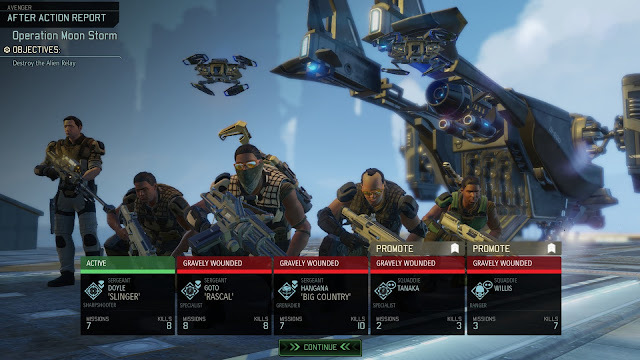 With two aliens waiting at the top floor of the building, my eagerness to explore saw a relentless chain reaction that resulted in four members of my team returning as ‘Gravely Wounded’. XCOM 2 has permadeath, and so, a bit like the Fire Emblem games, these characters are such precious resources that you want to protect them, and because you want to protect them, when they die it really hits home. It’s incredibly personal. My lesson was learnt. Go slow. A new addition to XCOM 2 is Concealment, a stealth mode that is regularly applied when you start a mission. Being concealed basically makes you invisible to the enemy, unless a soldier is foolish enough to walk into the line of sight of an alien unit, which are outlined for the sake of convenience. Under Concealment, there are great opportunities to flank or ambush the enemy. You can set up spectacular takedowns, surrounding a group with a team on Overwatch (a status that lets soldiers shoot on movement), using one final soldier to open fire. This ambush sees enemies run for cover, setting up numerous Overwatch kills. It’s incredibly satisfying and very tactical. After a rookie is ready to receive a promotion they are able to take on a specialist class, deepening the strategic approaches needed for many missions. Sharpshooters wield sniper rifles with a preference of giving high damage from long distances, where Rangers prefer close combat situations. It’s just another dynamic that needs to be mastered to get the best results every time. And while XCOM 2 encourages players to move as slowly as possible, many missions now have timers associated with them. It’s a strange approach to what is normally a very slow moving game and personally, very off-putting. In order to play safe enough to ensure the survival of my team and any VIPs that need escorting, while making sure I reach the objective in times means I often have to impose restrictions on myself, resulting in riskier strategic moves. It’s a good mechanic in the way that it encourages players to learn how to adapt their strategies under a different kind of stress, but it changes the pace to something that is still hard to adjust to. There is another large pacing change and that comes from the command centre, which is based in a derelict alien vessel. The game starts in America with no contacts and only a few facilities on the command centre operational. As the game progresses, more contacts are available, which will see you travel around the world fighting with resistance efforts and scanning for activity, while managing the command centres facilities and researching new weapons and intel. It can be incredibly overwhelming, yes, and with poor play the strategy can all fall apart just as easily too, these layers of strategy are so compelling in support of one another. XCOM 2 also introduces the Avatar Project, a score of sorts that slowly builds up as the game progresses. If it fills completely the aliens win and in order to reduce the counter XCOM has to destroy alien facilities. If anything is apparent, every mission playing as humans feels like you’re under alien oppression. The game constantly makes the point that we are still facing dark events on the horizon, such as the Avatar Project which will be catastrophic for mankind. As such there’s a constant mentality of always playing underdog, the aliens will counter your research, launch multiple attacks that force you to decide which part of the world is more important to protect. At its core though, it’s merely a role reversal that places the Aliens as defenders and humans as attacks, which raises a large question that speaks to warfare in general. 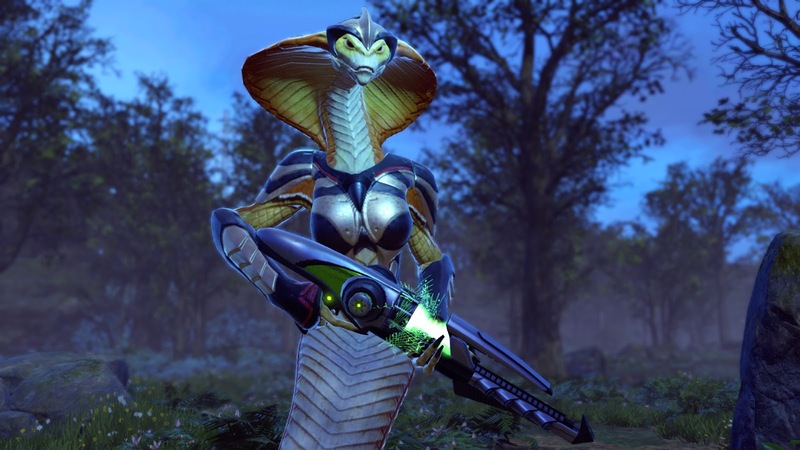 Is XCOM’s invasion of Earth warranted? Furthermore, when is invasion warranted? From what we see in the opening cinematic of the game, civilisation is under control, with dramatic events resulting from the actions of XCOM themselves. Perhaps retaliation is deserved after all, players from the first game would remember the fear that was created by this unknown threat. Are we now sympathetic to the plight of the aliens? Or is fear of the unknown still gripping decision making of our military forces? It’s something that I thought about a lot while playing XCOM 2. 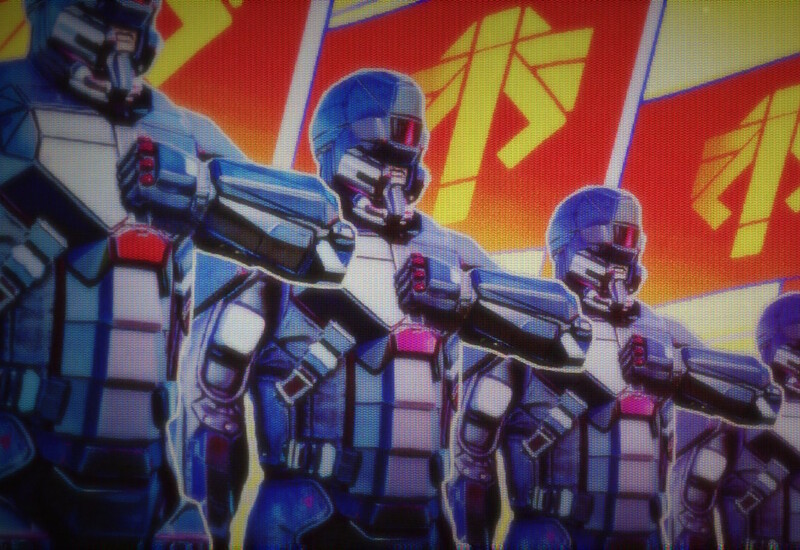 All of the engineers, researchers and soldiers are under the impression they are fighting for the greater good. And perhaps in their eyes that greater good is ridding the world of the Alien species. Does is opposite apply? Related reading: The Bureau: XCOM Declassified is actually a good example of how the series could be turned to other genres. Matt's full review. XCOM has once again proven that it is a powerhouse when it comes to tactical gameplay. Every decision counts and with permadeath is makes every decision even more powerful. Luckily game saving is encouraged, and if you forget to save manually there are copious auto-saves to fall back on. I do question if a sequel was warranted over something that brings freshness into the series, as if you enjoyed Enemy Unknown there’s not all that much different added to XCOM 2. But then more of a good thing is good when it's this good, right?